Captain of Nigeria’s Super Eagles, John Mikel Obi and Coach Gernot Rohr disagreed on whether Croatian Luka Modric should be crowned as Best FIFA Player of the year. Modric was Rohr’s first choice, according to the details of the voting done by national captains, coaches and media men. But Mikel Obi chose Lionel Messi as first choice, and French player Kylian Mbappe as the second. Modric was Obi’s third’s choice. Rohr also picked Mbappe as second choice and Belgium and Chelsea player Eden Hazard as his third choice. The Nigeria media man, Christian Okpara who voted picked Ronaldo, Eden and Modric as first, second and third choices. Egyptian captain, El Hadary Essam voted Mohamed Salah, Luka Modric and Ronaldo, as his choices. Egyptian coach, Javier Aguirre Onaindía Javier agreed with the captain’s first two choices, only differing in making French player Antoine Griezman, his third best player. 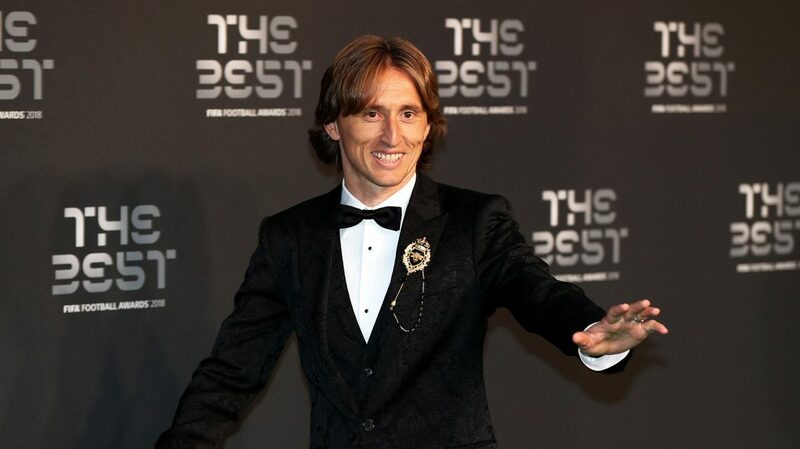 Modric was also the first choice of Argentine captain, Lionel Messi, who also picked Mbappe and eternal rival, Ronaldo as second and third choices. Eden Hazard, captain of Belgium picked Modric as first choice, just like Armenian captain, Arsenal’s Henrikh Mkhitaryan. Brazil’s captain, Miranda de Souza Filho Joao picked Ronaldo, Mbappe and Messi as his choices, in descending order.Colombia’s Falcao was for Modric, just like Wales captain. Other national captains that backed Modric were those of Guinea Conakry, Guinea Bissau, Hungary, Iceland, India, Israel, Senegal, Spain, Korea Republic, Kosovo, UAE and USA. Modric was the second choice of Germany’s captain Neuer Manuel. Modric himself picked team mate Varane Raphael, Ronaldo and Mbappe as his first, second and third choices.